River crossings act like funnels—at times channeling the most unsavory of characters. In September of 1861 a mysterious traveler crossed at present day Baum’s Bridge. He had all the appearances of being a Southern gentleman in both dress and stature. An easel and artist’s paint box was in his buggy, and a large gray valise strapped to the seat. Later Mr. Baum described him as looking “something like a preacher with funny eyes.” He was a congenial fellow and struck up conversations with local inhabitants. He gave his name as John C. Brain. The topics of Brain’s chats were startling. He seemed curious about the local views on abolition. Some former slave owners, who lived near the crossing, had no objections to slavery—however most were strong supporters of abolition. Brain openly expressed that he was an organizer for the Knights of the Golden Circle. The Knights of the Golden Circle believed all states south of Indiana should secede and form a new country. It was also planned to take Mexico and Cuba as part of this new country. Brain claimed that 15,000 Hoosiers had already joined the Knights. In truth, John C. Brain was a secret agent and his mission was to recruit northerners to join the rebels. During the Civil War, Indiana had many citizens who were sympathetic to the South. In fact, there was a large organized movement for Indiana to succeed and join the Confederate States. In response to this threat Gov. Oliver Morton had set up a spy system to discover and root out traitorous activities. Brain’s activities did not go unnoticed by the local authorities. In 1863 Brain and 18 southern sympathizers planned the capture of the steamer, Chesapeake. After leaving the New York City harbor they seized the vessel and planned to arm it as a Confederate privateer. They were soon captured by the U S Navy in route south with their prize. It turned out that Brain and the other conspirators were actually British citizens! America could either risk war with Britain or release the “pirates.” They were quickly released. Recaptured in 1866, Brain was the last Confederate prisoner of war when released in 1869. John Brain died in poverty in 1906 in Tampa, Florida. Last year I wrote a column about Confederate spy, John C Brain. In September of 1861 Brain crossed at Baum’s Bridge on a mission to carry dispatches to Confederate officials in Montreal, Canada and recruit volunteers to the southern cause along the way. Indiana Governor Morton heard of his activities and ordered the 9th Indiana to capture him. After capture, but before he could be imprisoned, he made a daring escape to rejoin Confederate forces. What follows is his remaining wartime service. John Clibbon Brain was born to John and Elizabeth Tabram Brain in September, 1840 in London, England. Yes, Brain was an English citizen! The Brain’s arrived in New York harbor in May, 1850. In 1860 Brain married Elizabeth A. 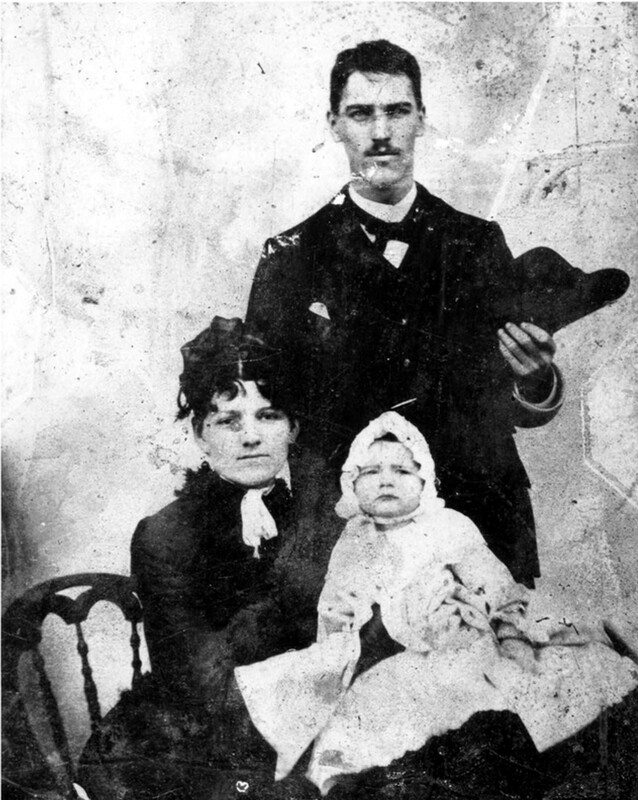 “Lillie” Butler in New York and they had three children. Brain later lectured about his wartime experience and told that he “entered the service of the Confederate States at Montgomery, Ala., in April, 1861, and was detailed for special service in the navy department.” After his escape from Indiana he was again ordered north and was captured again. He was exchanged after 3 months and afterword ordered to act as purchasing agent for the Confederate navy in Europe. While in Glasgow, Scotland he was ordered to take charge of the ship Oreus. The Oreus was built for the emperor of China and acting as a Chinese navy officer Brain left port for China. After leaving harbor he changed course for the West Indies where the Oreus became the Confederate warship Florida. Afterward, Brain was ordered to take a crew to New York and capture any vessel he pleased and fit it out as a war vessel. “At New York I investigated the shipping on North River for the purpose of choosing a vessel suitable for my purpose. I found at pier 14 a ship called the Chesapeake, which was in every way suitable for our mission.” On December 7, 1863 Brain and his crew commandeered the ship and sailed out of harbor, but not without a short fierce gun fight. Union warships overtook Brain, but he was released after England threatened war if the Union did not release English citizen, John Brain. Promoted to Commander, Brain was ordered to the West Indies theater of operations. Although, capturing and destroying many U. S. cargo ships, Brain could tell the tides of war were shifting. His final mission sent him back to Chesapeake Bay. On March 28, 1865 Brain landed on Barren Island, Maryland where he found 30 ships at anchor seeking refuge after a two-day gale. Taking two vessels Brain armed them for Confederate service. Needing to unload the number of prisoners he had taken, Brain sailed for Port Royal, Jamaica to land them. It was at Port Royal that on June 17, 1865 Brain received word of the South’s surrender. He set sail for Liverpool and after paying off his crew Brain surrendered and was imprisoned. 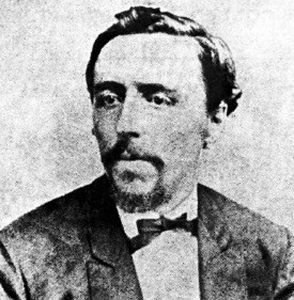 Brain’s release on March 1, 1869 made him the last Civil War prisoner to be released. Brain passed away on December 6, 1906 in Tampa, Florida.